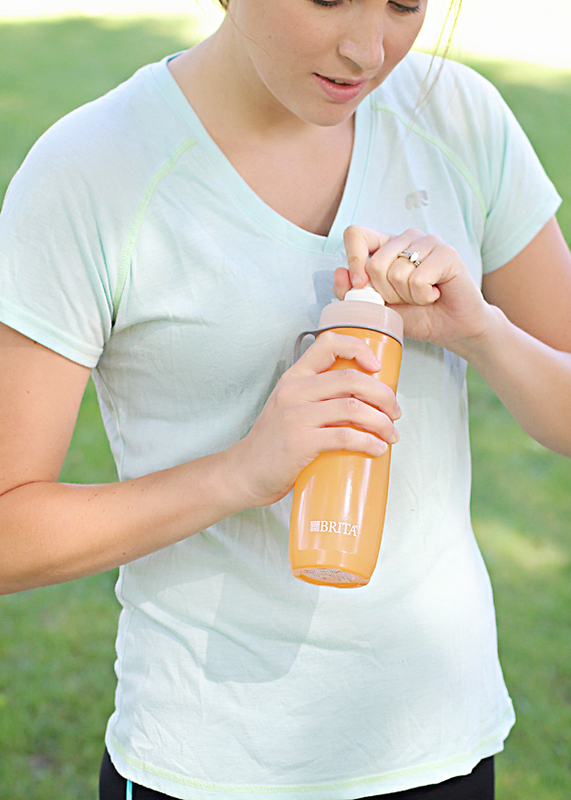 I know for busy moms, health can sometimes be put on a back burner. I used to eat sporadically, never drank enough water and don’t even ask me about how often I exercised! I am focusing more on my health now and I wanted to share a few easy tips on how to stay healthy as an on-the-go busy mom. I have started a healthy eating and workout plan that involves proper hydration, healthy eating, portion control and daily exercise. I have always heard that you need 8 glasses of water a day, but this program says to take your weight, divide by two and that’s how many ounces of water you should drink per day. 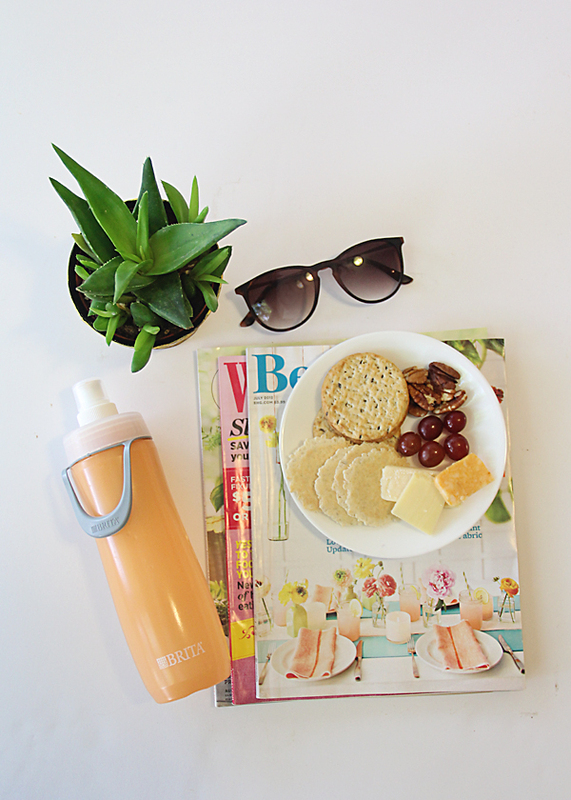 Your water intake can affect weight loss, your skin and kidneys and can affect you physically and mentally! So, right now I am drinking 69 oz of water every day! Since I am on the go a lot with softball, baseball, doctor’s appointments and grocery shopping I always bring a water bottle with me to meet or exceed my daily 69 oz. water intake. 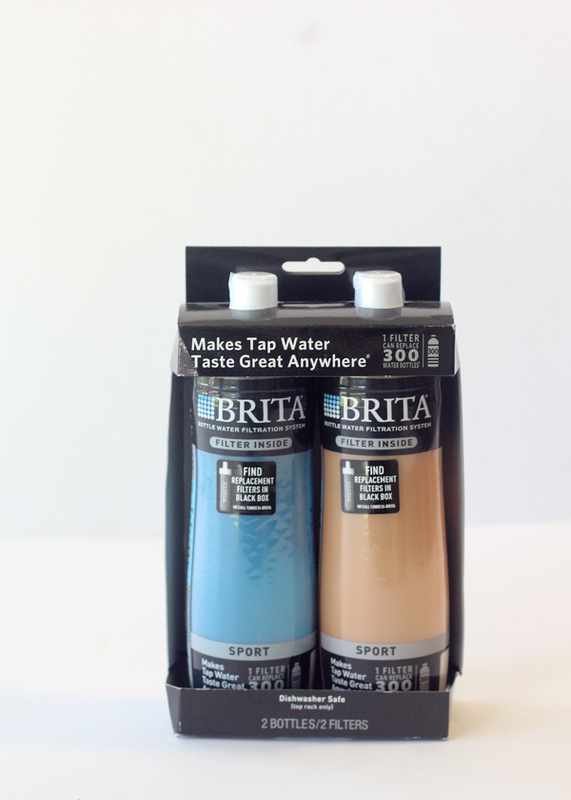 I was shopping at Walmart and found these Brita water bottles with a built in filtration system which will definitely help me reach my daily water goal. These are perfect for when I’m out and about and I want to refill at a drinking fountain. They are located in the hardware section of Walmart. For me, it is hard to get motivated to exercise especially in the winter. I have tried working out at home and going to a gym. You have to find out what works for you and what you will continue to do in the long run. I currently do at-home exercise videos that involve cardio, weights and yoga and I think it’s the variety and accountability I was missing when I was trying to do my own workouts at home. If you are an on-the-go mom it means you either don’t eat for long periods of time, stop for unhealthy snacks or pack something with you. I’ve started making it a habit to make sure I have healthy options while I’m out. 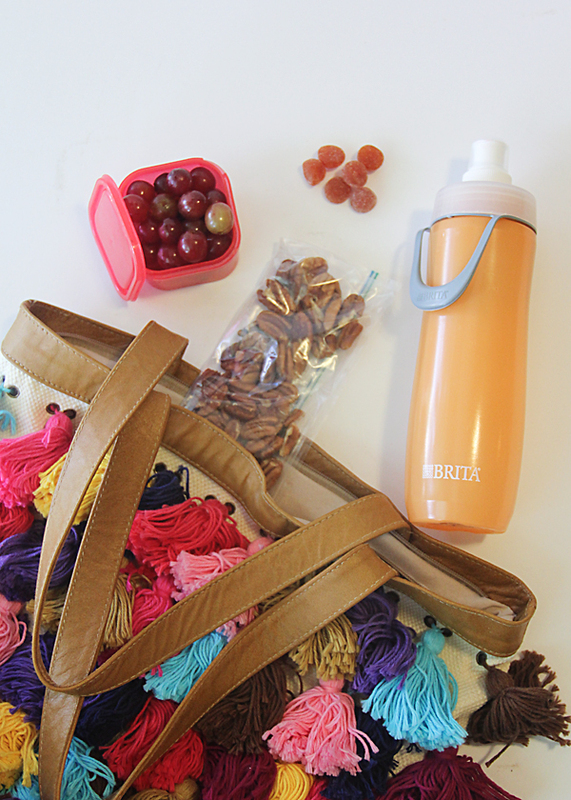 Here in my purse I’ve got grapes, pecans, adult gummy vitamins and my Brita water bottle filled. Many moms don’t get enough “me time,” and that time looks different for everyone because of their interests. I love spending time in the sun on my back deck with a healthy snack while catching up on some reading. Your ideal me time maybe will look different, but it’s the end result that I’m going for. If I take a little time for myself I feel recharged, rested and ready to take on the day or week. This time gives me the push and desire to stay healthy and take care of myself. By following the above four tips I’ve noticed a change in my life. All of these contribute to my overall health and wellness both physically and mentally and in turn I feel I become a better mom.